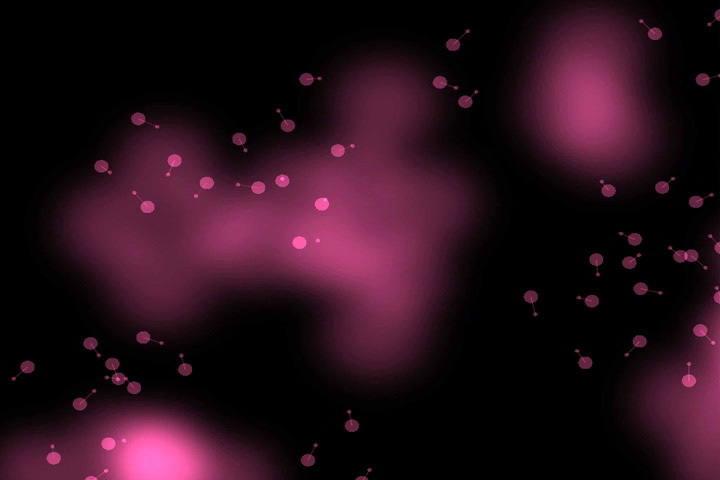 Electric clouds is an audio visualizer that reacts to real-time audio input. In the included video and images, it visualises Leo’s Room by Vangelis, from the movie Blade Runner. The application was coded in C++/OpenFrameworks and uses Fast Fourier transform to analyse and average the audio frequencies into 5 ranges. The ranges are then mapped to 5 different steering behaviors for the boids.